A note of holiday cheer from Wisconsin Quilt Study Group! Have you been enjoying the fabulous display of red and green quilts on Quilts Vintage and Antique FB page? It’s amazing what some of our friends have stored away. I found the single block pictured above at an antique mall in Janesville. I love the folky shapes and wonder what the maker had in mind when she was composing her design. We have had a good year…Sandy’s great presentation on Mountain Mist quilts in March, Sylvia’s fascinating look at the evolution of the sewing machine in July, and our retreat with Sharon Pinka in November. We have a new website, new treasurer Cathy Glover (and our own separate account) and a full meeting schedule for 2019. We are already planning for 2020. I recently attended a meeting of Northern Illinois Quilt Study Group. We met at the off-site storage facility of a local historical society which owns a substantial number of quilts. As a group, we unrolled, photographed, and replaced the acid-free tissue wrappers before returning the quilts to storage. It was very interesting. If you know of any facilities in WI that might need this kind of work and that would be willing to have WQSG do it, let’s think about it! Contact me and let’s see what we can arrange! Wisconsin Quilt Study Group is an association of quilt enthusiasts which meets 3 times per year. 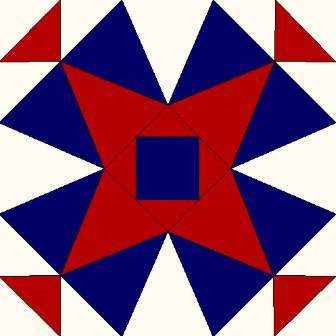 We are a regional branch of American Quilt Study Group, the national organization which fosters the serious academic study of quilts and quilt history. Our mission is to provide hands-on educational opportunities for both novices and experienced quilt historians to closely examine and discuss quilts, quilt history, fabrics and techniques. Dues are $10 per year. You are welcome to attend your first meeting as our guest. Saturday March 16th. Lois Wilhelm will be presenting, and the meeting will be in the Wausau area. Details forthcoming ASAP. Saturday July 13th. Wisconsin Museum of Quilts and Fiber Arts, Cedarburg. Anna Harkins of Northern Illinois Quilt Study Group will present her research on Chicago area quilter Mary Gasparik. Mary’s granddaughters will be bringing a group of her quilts to share. Meeting starts at 10:00. Please bring a sack lunch. Saturday November 9th. Blue Bar Quilts, Madison. Owner Gael Boyd will discuss the impact of the Modern Quilt Movement. Meeting starts at 10:00. Details to follow.